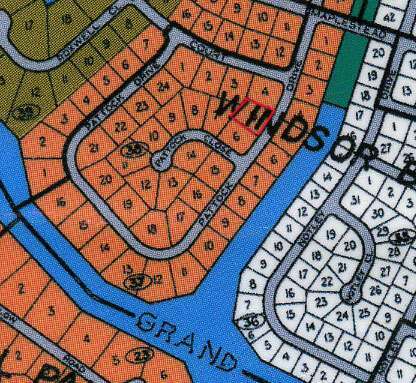 Full Description: WINDSOR BAY LARGE MULTIFAMILY LOT BLOCK 38 LOT#5 PATTOCK DR (19,362sqft) 157x150x112x136 ON THE ROAD. THE LOT IS ACROSS THE ROAD FROM THE CANAL WITH GENTLE BREEZES,BREATHTAKING VIEWS,AND NEARBY COMMUNITY BOAT RAMP. LUXURIOUS WINDSOR BAY IS A FISHING, WATERFRONT, BOATING COMMUNITY OVER THE CASAURINA BRIDGE CLOSE TO THE NEW COLLEGE OF THE BAHAMAS CAMPUS. ITS ABOUT TEN MINUTES FROM THE AIR PORT AND DOWNTOWN FREEPORT AND 5 MINS FROM THE NEAREST BEACH. IDEAL LOCATION FOR THAT APARTMENT, TOWNHOME, HOUSE OR CONDOMINIUM COMPLEX.